I have been an environmentalist for my whole life, but I’ve only become an activist this year. Bill McKibben and Gus Speth inspired me to dive headfirst into the Tar Sands Action movement to stop the Keystone XL pipeline from Alberta to Texas, from getting arrested during my first week living in D.C. to attending State Department hearings to helping encircle the White House six bodies deep. It seemed like a really long shot at first, and then like it would be a slow progress, and all the while pipeline approval seemed more inevitable than anything else…until one week ago, when all of a sudden it wasn’t so inevitable anymore. The State Department announced it will be re-reviewingTransCanada’s environmental impact statement for the convenient period of at least a year, bringing the final approval to a time just after the next presidential election. SAGE Magazine, a student publication of the Yale School of Forestry & Environmental Studies with a new and bold online presence, published a version of my essay today. Here’s the link: Arresting Fear with Hope: Protesting the Keystone XL Pipeline. If you’ve read my essay published earlier on this blog you won’t notice many differences, but check out the wonderful SAGE and its great mix of literature, policy, art, and ideas. Fortunately for me I’m not a locally based conservation practitioner, because I feel like I do about half those things reasonably well on my best days. This list highlights how hard it is to put conservation into practice when you’re not just a biologist or a government person telling people what to do–you’re a part of the community, leading from behind, listening and staying put for years. It’s autumn! Yesterday’s equinox brought a cold, drizzly rain to Washington, DC, culminating with a pink and blue sunset complete with semi circle rainbow across the sky. Then this morning dawned bright and misty, with a snap in the air and green leaves with just a hint of blush on their tips at the tops of the trees. A brisk bike ride to work cooled the arms and warmed the legs. My mother says I was never afraid of anything as a child. I would run laughing into huge waves on the beach and climb trees so tall it made my brother dizzy to try and follow. I am fortunate enough to have a family and personal safety net that means I do not fear the lack of food or a roof over my head. And yet I live every day with fear, a deeply personal and also political kind of fear that is at the same time a bit laughable in the light of day and devastatingly realistic. Climate change threatens my future and the people and places I love, and the physics of the atmosphere mean that there is no way to undo the damage we have already caused–all we can do is wait to see what the effects will be. I find this terrifying, and even more so that our country has been so helpless (and in denial, and backwards, and corrupted) in response to the threat. I usually deal with this diffuse sense of fear and helplessness in self-consciously quirky ways, like practicing survival skills and learning first aid, navigation, and other useful post-apocalyptic strategies. I also try not to think about it too much if I don’t have to. Last night, however, I did think about it, and I talked about my fear. Aerial photo of open pit bitumen (tar sands) mining in Alberta, Canada, by photographer Louis Helbig. At Saint Stephen’s Episcopal Church in Washington, DC, over one hundred people gathered for a four-hour peaceful action training to prepare for a demonstration the next day. We had come from all over the nation: California, Texas, Colorado, Massachusetts, Nebraska, West Virginia, even Alaska. Some were from DC, of course, but it was astonishing how many had come from so far away. They had come for one purpose: to protest the Keystone XL pipeline and the increased tar sands mining and burning it will facilitate. The Science of Survival: Sit down and have a snack! A Mystery: Why Can’t We Walk Straight? from NPR on Vimeo. The brain, like the rest of the body, derived energy from glucose, the simple sugar manufactured from all kinds of foods. To establish cause and effect, researchers at Baumeister’s lab tried refueling the brain in a series of experiments involving lemonade mixed either with sugar or with a diet sweetener. The sugary lemonade provided a burst of glucose, the effects of which could be observed right away in the lab; the sugarless variety tasted quite similar without providing the same burst of glucose. Again and again, the sugar restored willpower, but the artificial sweetener had no effect. The glucose would at least mitigate the ego depletion and sometimes completely reverse it. The restored willpower improved people’s self-control as well as the quality of their decisions: they resisted irrational bias when making choices, and when asked to make financial decisions, they were more likely to choose the better long-term strategy instead of going for a quick payoff. via Do You Suffer From Decision Fatigue? – NYTimes.com. So while it’s no substitute for the many other things you should know how to do or for pure common sense and survival instinct in terms of getting through a sticky situation in the woods, just remember that science backs it up: when in trouble outdoors, first thing to do is sit down and have a snack. Last week I attended the National Conference on Ecosystem Restoration (NCER 2011) in Baltimore, MD. It was a four-and-a-half day conference, with about 700 attendees, almost all of whom gave presentations or posters. It was packed, exhausting, and exhilarating! It was great to meet so many people in such an amazing field: the field of bringing dead stuff back to life again. I think there’s a lot of communicative value in the concept of ecosystem restoration, and a lot of room for political maneuvering and public support. Storm Cunningham of REVITALIZ made this point in a workshop, and I agree with him: people love fixing dead things. It’s so much easier to sell the idea of making some dirty, brown place green again and see that transformation than it is to rally uninterested citizens around contributing money or taxes for preservation of a place they never go to anyway. So here’s the question: can revitalization, renewal, and restoration be tied to climate change somehow? I think one of our best bets in this regard may be in coastal area restoration, where regaining some of the lost functions of the ecosystem will make shorelines more resilient to extreme weather, sea level rise, and saltwater intrusion into aquifers. 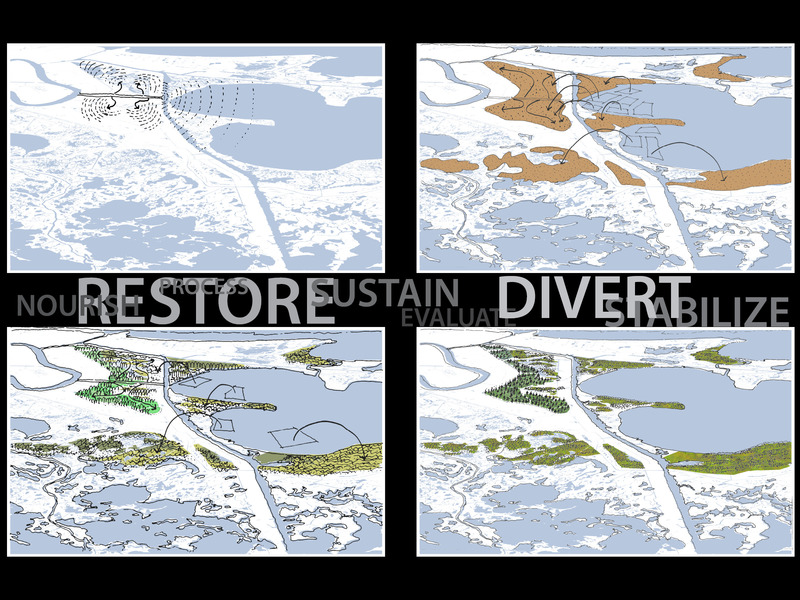 A design firm's vision for the restoration of the Mississippi River Gulf Outlet, or "MRGO". Shahzeen Attari and colleagues published a study last year examining the disconnect between consumers’ perceptions of how much energy a certain action uses or conserves and how much that action actually uses or conserves. It turns out, unsurprisingly, there’s a big gap, as shown in the figure excerpted from their paper. We are pretty accurate at estimating the energy use of low-ticket items, like replacing bulbs or unplugging electronics, but really bad at estimating the potential savings from line-drying our clothes and finding alternatives for big-ticket appliances like central A/C, dish washers, and space heaters. Note that the figure is charted on a logarithmic scale…meaning that the big ticket items are thousands of times more energy consumptive than the smaller ones. 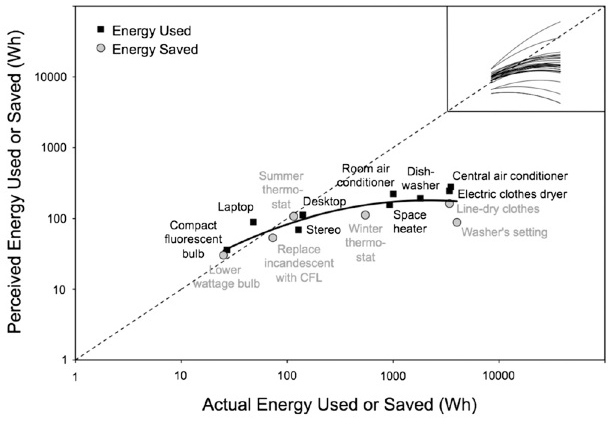 Their findings, combined with the green fatigue concept, show a part of the reason why it’s so hard for us to reduce our overall energy consumption: if we perceive that unplugging our desktop computer is just as good for the environment as line-drying our clothing, any sensible person would do the much easier one. 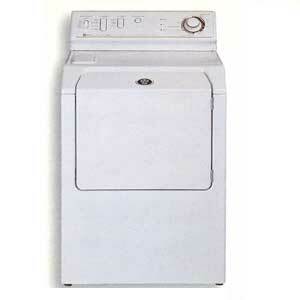 But in reality, turning off the clothes dryer is about 30 times more energy conserving than unplugging the computer. With green fatigue, we do the easy one, genuinely think we’ve done enough, and then…stop there. That’s where the flooding comes in. False certainty about energy use means we’re not in control of our energy-driven carbon emissions, which are contributing to higher and higher levels of greenhouse gases in the atmosphere. 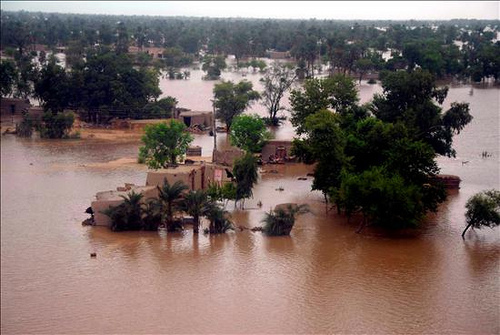 The planet is heating up and more heat in the oceans and atmosphere means more severe weather events of all kinds, from this summer’s global heat wave (and last summer’s too, for that matter) to flooding in the midwest, Australia, Pakistan, and elsewhere around the world. The current concentration of carbon dioxide-equivalent gases in the atmosphere is 391 parts per million, and scientists have said we need to get back below 350 ppm to avert climate catastrophe. So let’s line dry our clothes. It takes longer, it’s true. I’ve been doing it for the past two years (except in the dead of winter) and I hate hauling clothes around. But it gets me outside, it keeps me in touch with the weather. I don’t have to save as many quarters for my coin-op basement machines. I talk to my neighbors more. They call me if it looks like rain and I haven’t noticed yet. As a matter of fact, it’s time to go do some laundry right now! This essay was written by my mother, Daniella Levine, on July 16, 2006 after a few days of hiking on the Appalachian Trail with my brother and me. A Story in Two Parts: Part One describes our family, against the backdrop of an amazing adventure and terrain. Part Two describes a shifting culture and community against a backdrop of our family’s growing relationship with the place and the times. Buddy chatted on, about the lumber industry, how many rescues he had effected, how he had snuck into the trail on numerous occasions leaving mysterious notes, baffling the hikers. He bragged that he could find anyone anywhere along the 100 Mile Wilderness, one way or the other. He had grown up in these hills (part Native American we later learned, and adopted by those of European descent), learned to drive on the lumber roads, hiking the trail. He knew every nook and cranny. He was a trail whisperer. He had joined the military, been involved in a truck crash in Tennessee (the driver fell asleep at the wheel), broken his spine, and ended up with two fused and three artificial discs. Strong pain medication left him listless and confused. He proceeded to Motrin in massive doses, which burned out his stomach. He has difficulty with foods today, but is drug free, because he “just did not like the way the drugs made me feel.” He discovered massage therapy, and now skis all winter with his stepsons and step grandchildren, his greatest joy and release. The snows are receding, thanks to global warming, but he has a favorite place that still gets pretty good snow. He can no longer hike. He moved back to Monson, his childhood home and went to work for Mr. Shaw. The founder of Shaw’s Boarding House, a thriving Monson business, died a few years later, after building a national reputation as the “not to be missed” way station for the hiking community. Dawn, the new owner, persuaded Buddy that she could not run the business without his prowess as cook and shuttle-driver. Before she even bought the business, she had Buddy write down all the details he had learned working for “Old Man Shaw.” Buddy’s breakfasts were famous up and down the trail, and he was a key component of the business’ success. The lumber roads are marvelously smooth, and we fly along at 45 mph. Buddy explains the different lumber extraction methods as we drive by: clear cut, select cut. His father still lumbers the old fashioned way, tree by tree, well into the winter. He rates the different companies along the route, which are more concerned about the community, which just want to leach and plunder the land to maximize profit. This essay was written by my mother, Daniella Levine, on July 16, 2006 after a few days of hiking on the Appalachian Trail with my brother and me. The idea was that my brother (Ted Cava) and I would through-hike southbound from Maine to Georgia following our respective graduations, Ted’s from high school and mine from college. Our parents came along to see us off and to join us for the first week on the trail, crossing the “hundred mile wilderness” on foot. Daniella is a great writer and directs a wonderful organization that envisions and advocates for social justice and equality in Miami, FL, called Catalyst Miami. Ted is now a recent college grad and aspiring actor in New York City. My father, Rob Cava, also appears in the story. He is a physician at a practice called Miami Medical Consultants. A Story in Two Parts: Part One describes our family, against the backdrop of an amazing adventure and terrain. Part Two [to be posted next week] describes a shifting culture and community against a backdrop of our family’s growing relationship with the place and the times. Our children are extraordinary. Please forgive a mother for starting this way. I could just write this as a story about them, their clarity and insights, their love for the land and nature, their sensitivity, perceptiveness, generosity, clarity and focus. However, instead, so as to not be so OBVIOUSLY a bragging mom, I will describe our experience in the Maine woods through a broader lens, putting our little hike into the context of the local people and their lives, the economical transformation of the region, the search for meaning of fellow hikers, and the importance of community as a building block for social change.